Holiday baking has been a long tradition in my family, so I'm very excited to be in the kitchen baking some of my favorite treats. 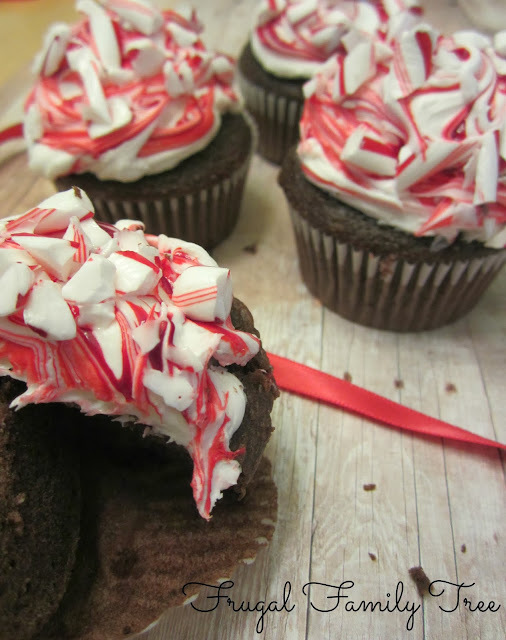 Chocolate and peppermint are a must during the holiday season, so I combined the two and made these yummy cupcakes. My grandchildren were thrilled when they saw them, and it was a real struggle for them to wait until after dinner to have one. The key to successful baking for me, is using the highest quality ingredients that I can. Butter is one of those ingredients, and I always like stocking up on it at this time of the year. I went to Walmart with a shopping list of baking supplies I needed. I always love using Land O' Lakes Butter because it tastes great, and my Mom always baked with it. When I was growing up, we usually couldn't afford butter for everyday use. But when it came time to bake for Thanksgiving and Christmas, my mother always made sure there was plenty of real butter for all the baking she loved to do. I bought a few pounds of Land O' Lakes because I always seem to run out, and I have lots of baking projects with my daughters coming up soon. 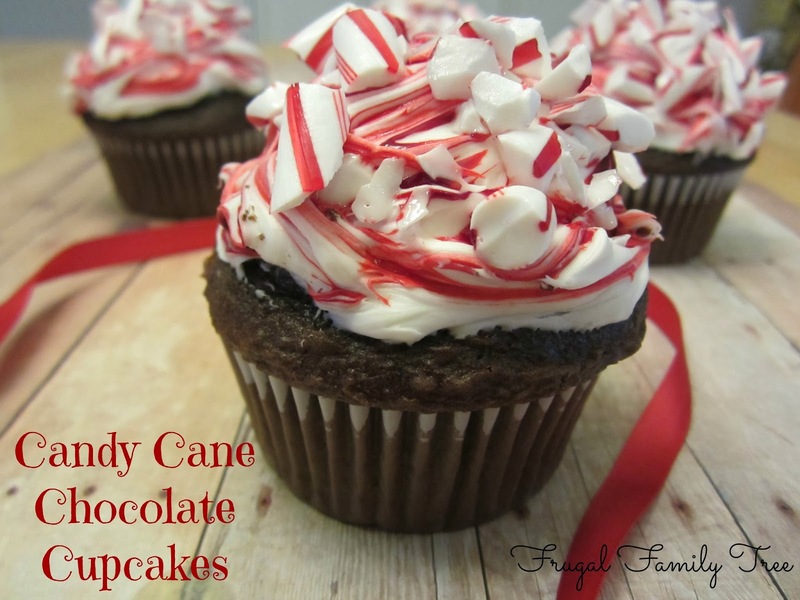 When it comes to these cupcakes, I think you can never have enough frosting or chopped candy canes on top. 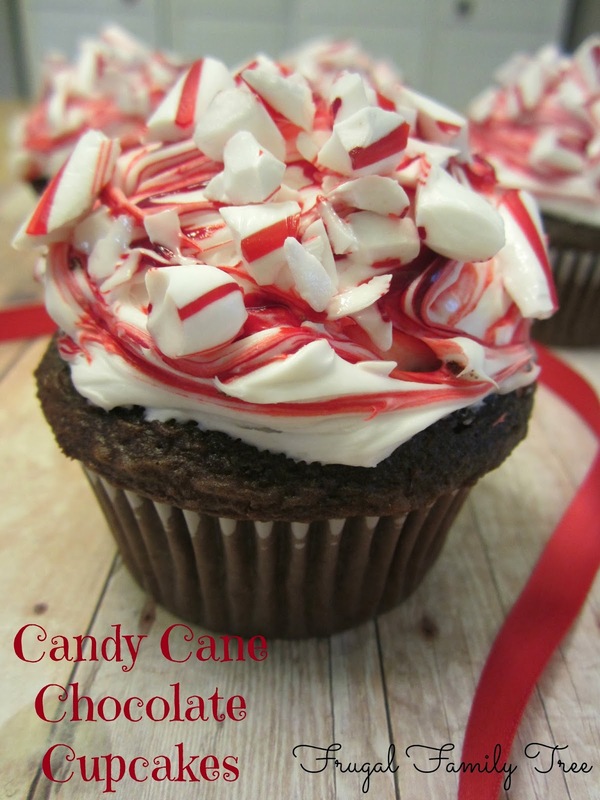 I added peppermint extract to the frosting, and along with the candy, it gave the frosting a delicious taste. Rich butter and good cocoa powder are the heart of these chocolate cupcakes. This is a recipe I use all during the year when I want yummy cupcakes. I know lots of people think baking from scratch is hard. But it really isn't, and tastes so much better than a mix. The instructions to make these Candy Cane Chocolate Cupcakes and the Peppermint Buttercream Frosting are included below. I love buttercream frosting, and this recipe can be made ahead if you want, and kept in the refrigerator for two days. Just bring it to room temperature before you use it. If you'd like to see more recipes to inspire your holiday baking, go check out the Land O' Lakes Holiday Giftgiving Brochure. Heat oven to 350 degrees. Place paper liners in cupcake tin. Combine butter, sugar, eggs, and vanilla in a large bowl, beat on medium for 3 minutes. Stir together flour, cocoa powder, baking soda, salt, and baking powder. Add alternately with water to butter mixture, beating until blended. 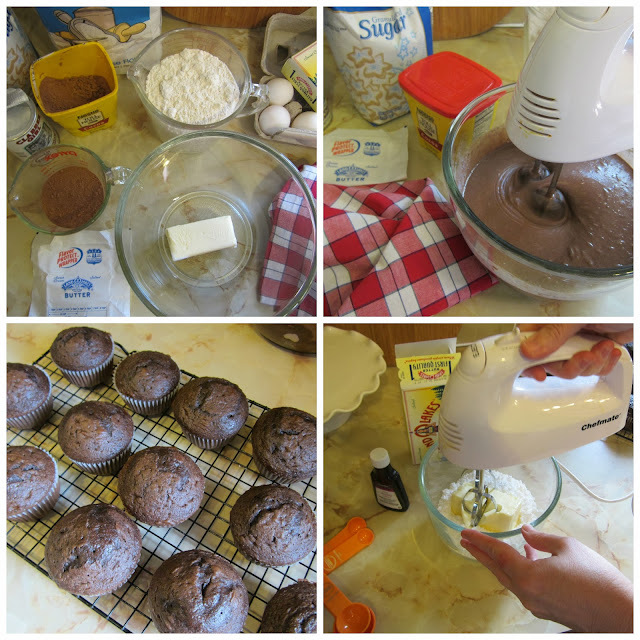 Fill cupcake liners 2/3 full, bake 20-22 minutes. In a medium bowl, using a hand held electric mixer, beat the softened butter at medium speed until smooth. Add the confectioners sugar, vanilla extract, peppermint extract, and salt, beat the mixture at low speed just until combined. Increase mixer speed to medium and beat until smooth. Add the milk or heavy cream and beat until light and fluffy, about 2 minutes. Spread the frosting on cupcakes. Put 1-2 drops of red gel food coloring on top of frosting and then swirl it around with the tip of a knife. Top with pieces of chopped candy cane. You can follow Land O' Lakes on Facebook and Twitter. Thanks for the tip on making the recipe ahead and being able to store in the fridge, saves me time, when I need my mixer for other things. I want to try this recipe and make Ice Cream Cone cakes. You photos are awesome, I like the step by step instructions.. Thank you for taking the time to post them. Land O' Lakes Butter is always what I use for all our cooking and baking. I agree it adds a nice flavor. Thanks so much for your kind words. Ice Cream Cone cakes sounds like a fabulous idea!! Great recipe, I just want to taste it now! They really are yummy :) Thanks for commenting.